It has been quite some time since I had good Bak Kut Teh (BKT) in Penang ever since the closures of my favorite BKT stall right in the heart of Georgetown, Penang. After months of hunting around Penang for a BKT stall that would suit my taste bud, I finally found one. The treasured discovery was not located within the island itself but over at the mainland Penang. Moreover, it was not even any stall from our local Penang Bak Kut Teh community but a newly born 6 months old branch of one of the famous traditional Bak Kut Teh outlet from Klang, Selangor, birth place of Bak Kut Teh. Welcome to the newly opened branch of Restoran Ki Xiang. Bak Kut Teh (as spoken in Hokkien/肉骨茶) is literally translated as “Pork Bone Tea” in English. It’s actually a variant of rich herbal soup cooked with different meaty bone parts of bones. Firstly introduced locally in the 19th century by the Chinese workers in the then Malaya, it was to be a tonic dish to supplement the under nutrition diet of the coolies but eventually it became a dish for general health for everyone especially those within the Klang Valley population. It is believed that there are still about 400 outlets of Bak Kut Teh stalls remaining there today. There are three versions of Bak Kut Teh (BKT) in Malaysia – the Teochew style which has a more peppery taste and lighter in soup color, the Hokkien style which is saltier with a darker color from the soy sauce used and the Cantonese style which has more herbs and spices added for a stronger medicinal value. The version served in Restoran Ki Xian has gone through 3 generations with a soup base that has thicker and stronger herb taste. Moreover, the soup was not as overpowering as most of the shops out there. Just look at my one person mixed meat clay pot (RM8) with lots of free tofu puffs and tofu sticks plus enokitake (金針菇/golden needle mushroom – RM4). There were so many choice pieces of meat in the clay pot and yet the price was barely half of those BKT found on the island. It’s extremely value for money dining here. One note… If you intend to add in the enoki mushrooms into your pot, you might get a slightly altered taste as these mushrooms would make the soup having some sour after taste. That would have killed the original taste of the soup. Try asking them to serve you that in a separate bowl. I’m sure they would be obliged to any customer request. On top of the accompanied tofu puffs and sticks, here are some of the meaty parts you can request – streaky pork ribs (五花骨), spare ribs (排骨), big marrow bones (大骨), small marrow bones (小骨), cartilage (軟骨), lean meat (瘦肉), fatty meat (肥肉), semi fatty meat (半肥肉), (pork trotters (豬腳), pork knuckles (豬腳彎), pig’s tail (豬尾), pig’s stomach (豬肚) and pork intestines (豬腸). There would also be more add ons for tofu sticks (豆腐乾) and enoki mushrooms (金針菇). In case you would like to have specific bone parts, you can always order individual bowls at RM8 each. Here are the uncut versions of all the parts they have. Klang’s serving of rice would be different compared to what you normally get in our local BKT stalls. 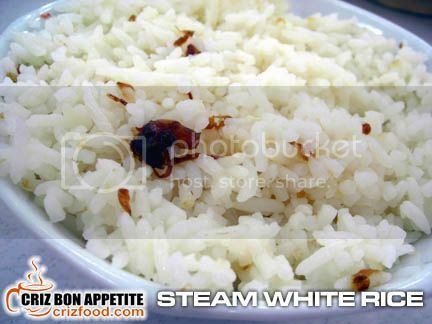 Instead of the normal steam white rice, dark soy sauce oil rice or even yam rice, the restaurant here served steam white rice mixed with fried shallots and oil. It’s only RM1 per large bowl or 50sen for a smaller portion. Even the boiled lettuce would not have the normal meat floss or fried lard with oil garnishing. 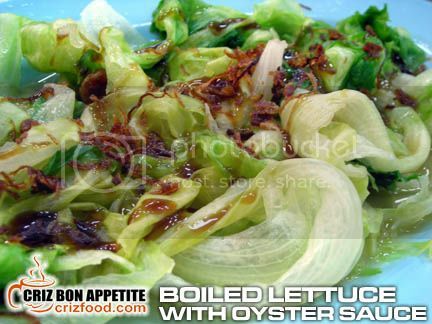 It’s just a simple plate of Boiled Lettuce (油菜) with some oyster sauce and fried shallots garnishing at RM6 per plate. To me, it’s healthy enough for everyone. 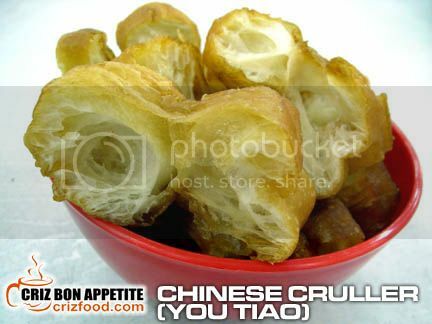 Chinese Crullers or You Tiao (油條) would surely come with each BKT meal. For only RM1, you can get a large bowl here. 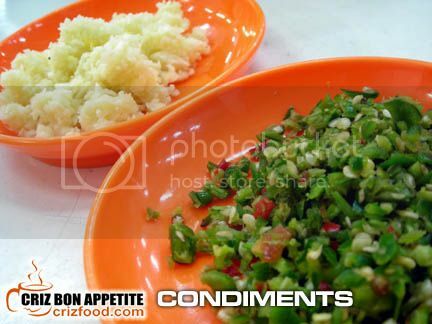 As for the condiments, they have chopped garlic, cili padi (bird eye chili), soy sauce and dark say sauce. The chopped chilies sure tasted better than the normal sliced ones as each piece of meat would be covered with an evenly spread spiciness. Well, what I had mentioned above was not the award winning dish I had been yearning for ever since I was first introduced to an established BKT stall in Klang last year. After trying out so many of the so called dry Klang style BKT from the island as well as mainland Penang, none can please my satisfaction other than the heavenly taste of the dry BKT here. Priced at only RM8 too, you can choose whatever meat parts you like and the chef would simmer them dry in a clay pot with a handful of dried chilies, cuttlefish strips, lady’s fingers slices, dark soy sauce and some of their thick BKT stock. One bite and you would want more. It’s the best of the best so far. This is a must order if you happen to drop by the Megamall area. You can even check out their other branches in Bandar Baru, Bukit Tinggi and Ampang. 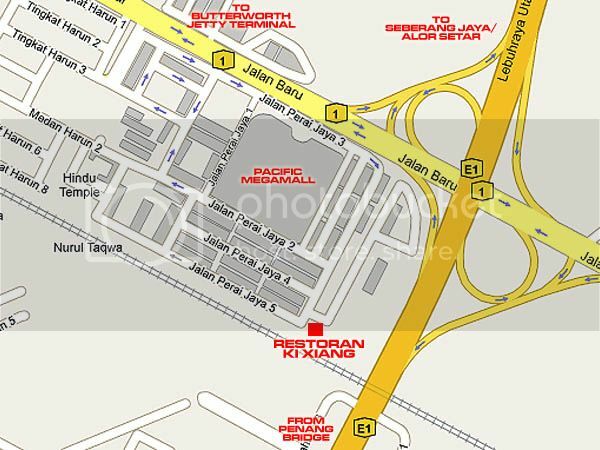 Finding the restaurant would be easy if you know your way to the Seberang Perai Megamall. After you exit from the Penang Bridge toll, drive all the way until you see the third exit on your left. Turn left and that would lead you to into Jalan Baru. Megamall is just slightly further away on your left. Slow down and watch out for the first left turning. Turn into Jalan Perai Jaya 3 and drive until the end and turn right. Drive until the end and you would see the big blue roofed Pasar Awam Megamall on your left. That’s where Restoran Ki Xiang is located. To get back to the island, use the road opposite the complex (Jalan Perai Jaya 5) and follow the flow until you see the second traffic light. Turn left and you would see the route to the Butterworth Jetty Terminal (overhead bridge longer way, underpass via expressway with toll) or turn right towards Penang Bridge. Address: Jalan Perai Jaya 3, Taman Perai Jaya, 13700 Perai, Penang, Malaysia. best Penang BKT is in Prai? I must ask my fren to bring me there when I visit her. looks quite like our Klang BKT-must try it ! I never know there’s such a BKT there wor… thanks for sharing! I haven’t had real Klang-style BKT yet…and we moved to Kuching before we could get some in KL! ah….. prai ah…… then have to make a move there leh…. Don’t tell me I have to be the tour guide again?? LOL! ahh none in the island ah?? yea like what mary said, must make a move there dy!! So who’s planning the mainland trip?? LOL!